Visitors to Todmorden Town Hall will soon be able to see the latest in a series of events telling the story of Todmorden and the people that live there. The Town Hall has just celebrated its 141st birthday, which was marked with a tour of the building, where people also had a chance to preserve their old photos with the scan and save event hosted by Pennine Horizons digital archive. The next milestone for the Town Hall is the opening of the Heritage Lottery Funded, ‘Folk of Todmorden’ temporary exhibition. The exhibition opens on Wednesday 13 April at 3pm, and tells the story of people in the town both from the past and the present. It will feature photographs from local photographer, Roger Birch, who regularly photographed Todmorden. Roger also collected photographs and released a number of books with photos capturing the everyday life of people in the town. The life and work of people in the town has also been used to inspire a number of costumes created for children, which will also feature in the exhibition. As the children wear the costumes they will be encouraged to think about the history of the character; how they might have lived and what their role might have been in the town. They will then be able to write their interpretation of each character’s story on brown luggage labels, which will be printed on fabric and used to build up a collection of thoughts. Those trying on the costume in the future can then read the story of ‘Folk of Todmorden’ past and present. 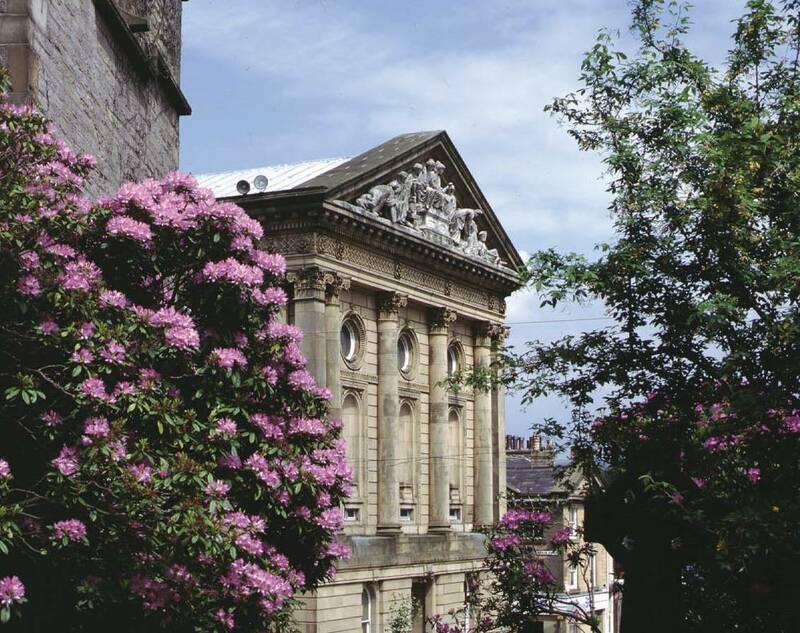 There is also the chance to hear music from Todmorden Folk Festival and discover more about the history of the Grade I listed Town Hall from volunteers. “The ‘Folk of Todmorden’ exhibition is just part of a project funded by the Heritage Lottery Fund, which aims to tell the story of Todmorden Town Hall. The photos will be on display until September, but the children’s costumes will only be at the Town Hall on Wednesday 13 and Thursday 14 April. This entry was posted in Arts and culture, Community, Community volunteers, Heritage, Tourism. Bookmark the permalink.